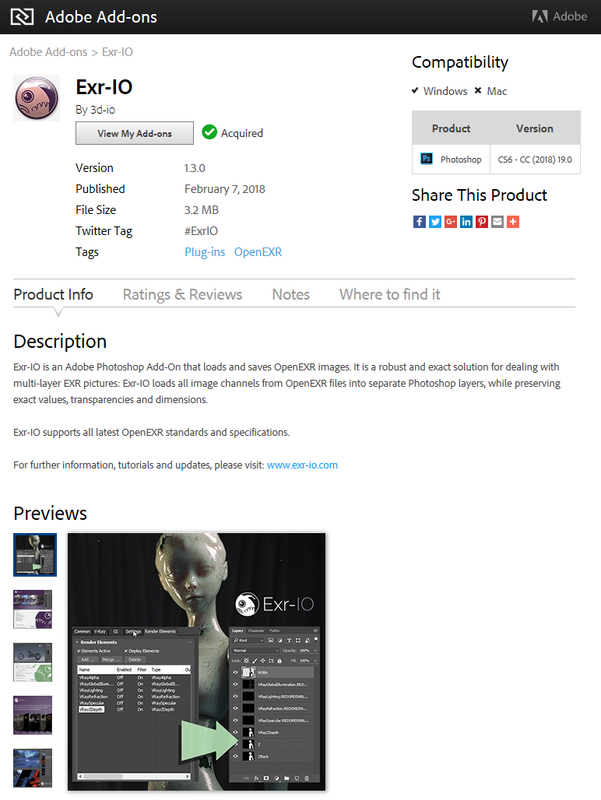 Exr-IO now available in Adobe Exchange Creative Cloud! Adobe Exchange is Adobe’s Creative Cloud app store for easy searching, exploring and installation of plug-ins, extensions and lots of other content for Photoshop and other Adobe products. Exr-IO is a free, extensive and precise OpenEXR image reader and writer for Adobe Photoshop. Please also visit https://www.exr-io.com/ for more details and tutorials.